the question of whether a merchandising right can persist after the protection of the symbol itself has lapsed. 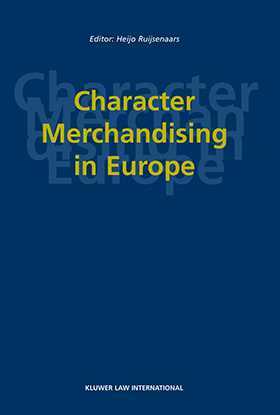 Character Merchandising in Europe marshals impressive evidence that merchandising law, although it can hardly be said to exist as such, is nonetheless implied in an extensive body of pronouncements from the various fields of intellectual property law. This perception is supported by the first judicial decision on the protection of merchandising activities, recently rendered by the European Court of Justice and supplied in full text as an annexe to this volume. This is the first and only in depth analysis if this nascent but far reaching field of legal practice, and as such it is of unique value not only to practitioners in entertainment or sports law but to company lawyers in virtually any enterprise.